I hope all you mamas were loved on and spoiled all weekend long. You deserve it! 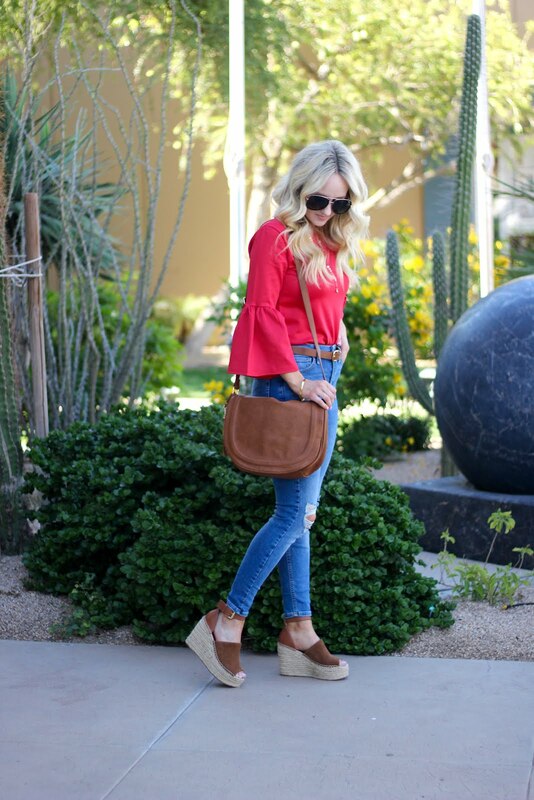 Here is a little casual look I put together with this bell sleeve. 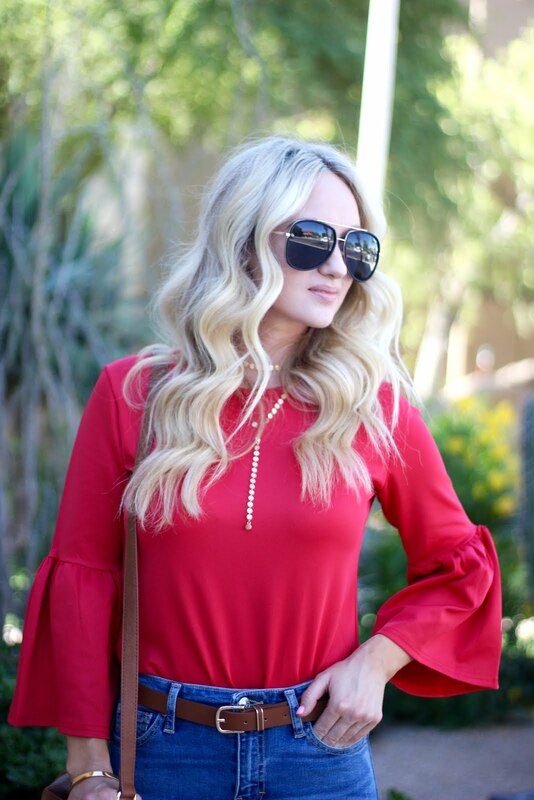 I love this top because you can pair it like I did here for a casual look or with a skirt for a dresser look. And the best part is this top is only $11 and also comes in black and white.